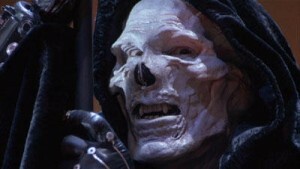 It Looks Like the Remake of ‘Masters of the Universe’ Might Have Its Director!!! Yes, there is going to be a live action remake of ‘Masters of the Universe’. No, I’m not excited about it. The signature toy series and beloved cartoon are making its way to the big screen again for Sony. Alex Litvak and Mike Finch have penned the script which was titled ‘Grayskull’, but since they turned the script in, the title has gone back to ‘Masters of the Universe’. Personally, ‘Grayskull’ is a better title. Litvak wrote the recent ‘Three Musketeers’ film, while Finch wrote ‘Exclusively Yours’. Supposedly the studios were so impressed by their script of ‘Grayskull’, they gave this project the go-ahead. I can’t imagine this script is anything to write home about. But the real reason I am not happy about this is that the studio is negotiating with director Jon M. Chu to make this cult and childhood favorite. I take it most of you don’t know who Jon M. Chu is. Let me enlighten you. Chu directed the following films. and the upcoming G.I. Joe: Retaliation film. Have the execs at SONY lost their minds? I am really quite fond of the original ‘Masters of the Universe’ film from 1987 that starred Dolph Lungdren as He-Man and Frank Langella as Skeletor. Yes, it was cheesy in places, but it actually all worked. There was some very cool stuff in there. I have no doubt this remake will be terrible beyond all knowledge. I wish there was a different director out there to take care of this project. So the question is, who do you want to see play He-Man and Skeletor? 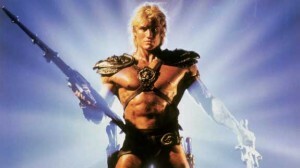 Masters Of The Universe May Have a Director!!! This entry was posted on Tuesday, July 31st, 2012 at 10:00 pm	and is filed under Film, News. You can follow any responses to this entry through the RSS 2.0 feed. You can skip to the end and leave a response. Pinging is currently not allowed.